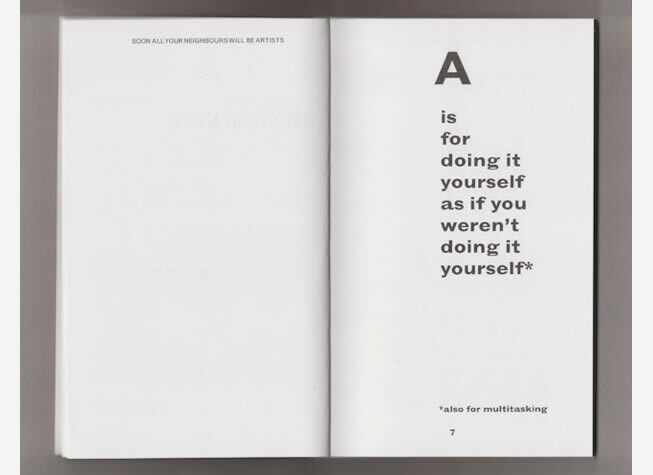 Published by Extra Special People at Eastside Projects with Aid & Abet, Spike Associates and WARP. 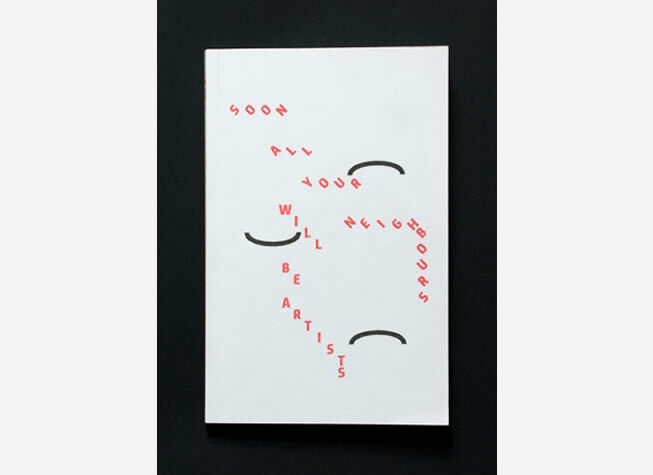 Soon All Your Neighbours will be Artists was a collaborative publication initiated in 2011 between members of the artist-led organisations Aid & Abet, Cambridge, Extra Special People at Eastside Projects, Birmingham, Spike Associates, Bristol, and WARP, Cardiff. Framed by major cuts to public funding within the arts sector in the UK, the publication aims to present sustainable models for art production. Artists were invited to contribute works that play on the status of ‘survival’ in their practice, and a collection of texts and images from various sources have been selected to further problematize a single conception of the term. 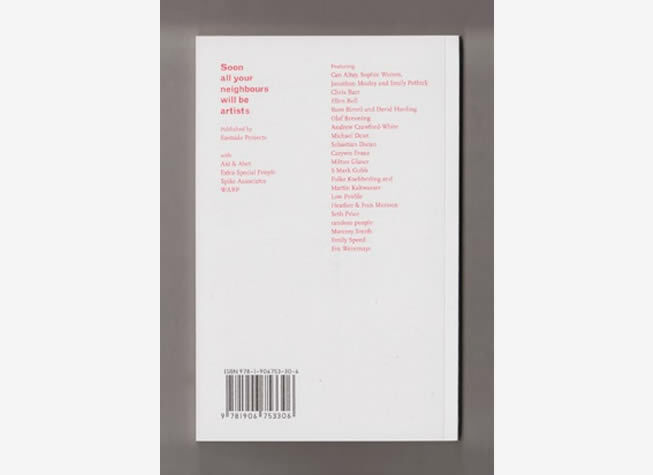 The publication presents a set of ideas about groups and networks; when to run with – and away from – a career; how the act of surviving and adapting to one’s conditions can be productive and what types of working environments are possible and preferable today.